Beets are a nutritious addition to meals but cooking them can be intimidating. Here are easy how-to guides for the best cooking methods for beets. Beets are a deliciously sweet and gorgeously hued addition to so many dishes. They also happen to be rich in antioxidants and nutrients like folate, manganese, and potassium. Yet many home cooks wonder “So, just how do you cook raw beets?” We get it, cooking beets can seem daunting! This step-by-step guide will show you how to prepare beets and how to cook fresh beets using a few simple techniques. We’ll cover how to cook beets in the oven, cooking beets on the stove, how to cook beets for salad, and even how to cook beet greens. This guide will also give you recipe inspiration for enjoying all varieties of beets from mildly flavored golden to traditional ruby red to heirloom Chioggia beets with stunning red and white stripes. Preparing fresh beets is so much easier than it seems! 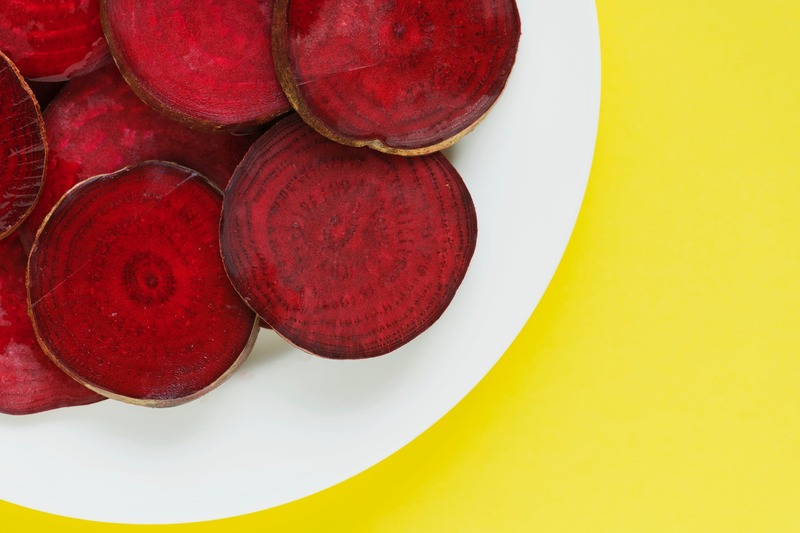 From golden beets to red beets to any other fun varietal you discover; these flavorful root veggies add a beautiful flavor and color to everything from light summery salads to savory winter sides. So go ahead and grab a bunch at your grocer or farmer’s market—our simple steps will show you how to prepare beets. 2. Cut off the root just to the bottom of the beet. 3. Lightly scrub the skin with a brush or clean scrub sponge to remove any dirt. Now that you’ve prepped your beets (easy, right?) you’re likely wondering “Ok, now what is the best way to cook beets?” We’ve outlined a few of our favorite options for how to cook a raw beet from stovetop to steaming, to how to cook beets in the oven. Note: There’s a lot of variability in the size and density of beets, so you may need to cook some longer than others. Just test for doneness by seeing how easily a sharp knife pierces to the center.You want them tender, but not too soft. 2. Line a baking pan with foil or parchment paper. 3. Drizzle beet halves or beet wedges with olive oil, salt, and pepper. 4. Spread beets on pan and roast for 45 minutes or until fork tender. 5. You can also slow roast beets or beet halves for deeper flavor. Just wrap individual seasoned beets in foil and roast for 60 minutes on the prepared pan.